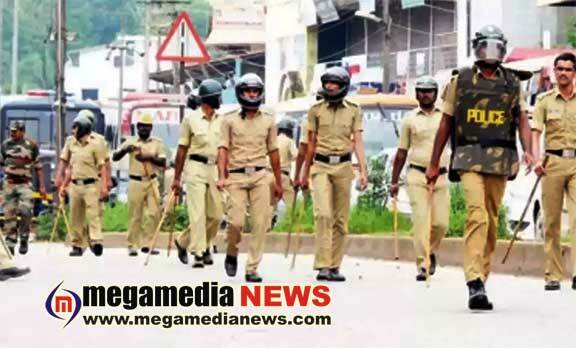 Mangaluru: Security across Mangaluru city police commissionerate limits has been beefed up ahead of Lok Sabha polls. Providing details on poll preparedness in Mangaluru city, police commissioner Sandeep Patil told reporters on Monday that there are 883 polling booths within the city commissionerate limits, of which 220 are critical. Three City Armed Reserve platoons have been deployed in each of the four assembly constituencies that come under Mangaluru city police. Similarly, eight KSRP platoons have also been deployed. The city has 220 vulnerable polling booths in 93 areas, from where police have identified 501 persons as intimidators and appropriate action has been taken against them. Out of the 220 vulnerable and critical booths at 156 polling booths, the Central Armed Police Forces will provide security. At the rest of the critical booths, micro observers and video observers have been deployed. On the polling day, two DCPs, seven ACP/DySP, 16 police inspectors, 37 Police Sub Inspectors, 79 ASIs along with 1,500 staff including home guards and head constables will be part of the bandobast in addition to two companies of central forces, 8 KSRP and 12 CAR platoons. About 430 rowdy elements have been identified and preventive cases have been booked under CRPC section 107, 109, 110 to p revent any untoward incident. Externment orders have been passed against 17 rowdies under Mangaluru city police limits. About 21 checkposts have been set up at the inter- state borders of which 10 are static surveillance team checkposts and 11 are police checkposts. So far about Rs 28.25 lakh cash has been seized and after scanning through documents, cases have been disposed. Three cases have been booked und er the Representation of People’s Act – carrying flags and pamphlets of a political party at Mangaluru East police station, a case related to carrying posters towards Kerala and a case of a person being impersonated on FB. So far about 1,949 weapons have been deposited out of the 2,011 weapons licensed in the Mangaluru city police limits. Appropriate security arrangement s have been made at mustering and de-mustering centres including Mahaveer College, Moodbidri, Rosario School, Canara College and Ramakrishna College, Mangaluru. After de-mustering, appropriate security will be provided for the EVMs and VVPAT machines till the day of counting. People can report any illegal activity on 0824-2220800.